Located only 9 kms from Cessnock is Werakata National Park. The park is loved by locals and tourists alike. Owing to its proximity to Sydney, it is an ideal day trip for weekend getaways. There is a lot to do at the park like bird watching, cycling, hiking and picnicking. There are great cycling and walking trails and in spring they’re lined with purple, orange and yellow wildflowers. 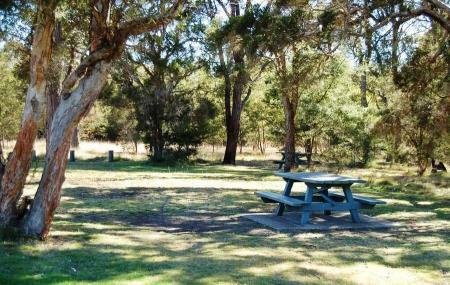 One can bring along a basket of food and relax at the Astills Picnic Area, which has sturdy tables and shaded sitting. One can also cycle along Deadman’s Mountain Bike Loop or Astills Trail, both of which are easy, flat and suitable for any fitness level. The park is also a great place for bird watchers as there are great opportunities to spot brightly coloured bush birds flying low as well as several species of birds like swift parrot, regent honeyeater and robins. Put sunscreen on before you set out. Remember to take a hat and drinking water. Remember to take your binoculars if you want to bird watch. Drinking water is not available in this area so it’s a good idea to bring your own. There is limited/no mobile reception in this park. The park is open all the time unless there is danger due to weather conditions or risk of forest fires. The best way to get here is by a taxi or car, as there is no public transport nearby. How popular is Werakata National Park? People normally club together Cessnock Regional Art Gallery and Cessnock Performing Arts Centre while planning their visit to Werakata National Park. People also prefer to end their day with Werakata National Park.